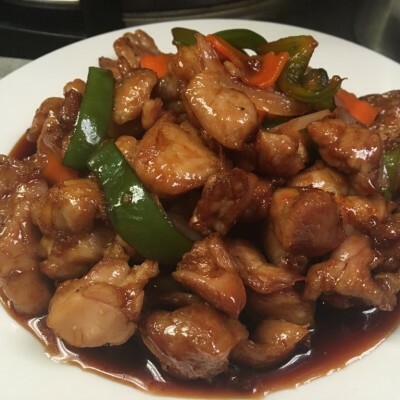 Chicken with carrots, onion, bell pepper, garlic in sweet bourbon sauce. Braised eggplant, tofu, green onion with minced beef in garlic oyster sauce. Bok Choy, carrots and snow peas in ginger sauce. 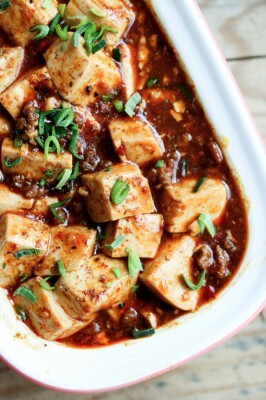 Minced beef, tofu, scallions, garlic in a spicy chili- bean-based sauce. 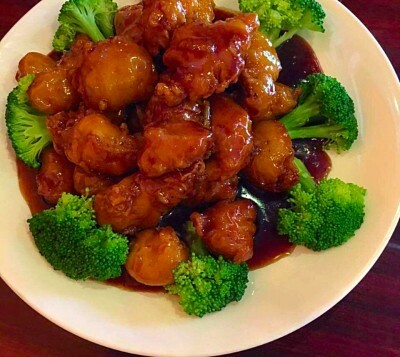 Fried chicken and broccoli coated in sweet orange-flavored chili sauce. 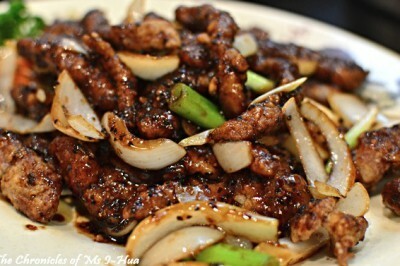 Chicken, green pepper, onion and green scallions in black pepper sauce. Braised grouper fillet with tofu, carrots and shiitake mushroom in minced bean sauce. Pork stir fried with green beans in garlic sauce. 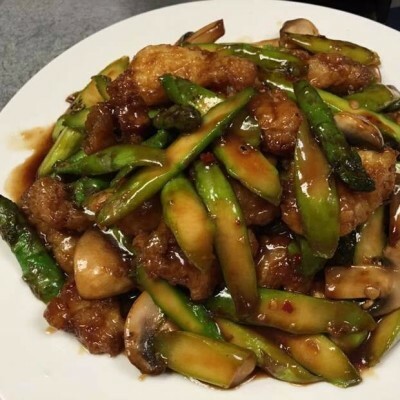 Sautéed grouper fresh mushroom and asparagus in garlic sauce. 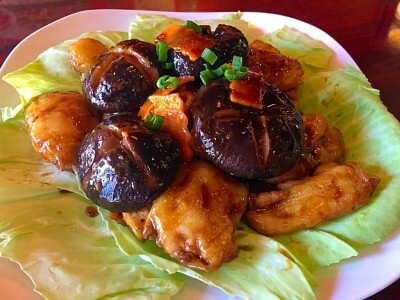 Braised grouper fillet with eggplant and fresh mushroom in spicy Szechuan sauce. General Tso’s Chicken plus spicy shrimp. Sliced white meat chicken and jumbo shrimp sautéed in white sauce with snow peas, red peppers and water chestnuts. Sautéed shrimp, scallop, calamari with tofu, snow peas and shiitake mushroom in white sauce. Sautéed shrimp, scallop, calamari with tofu and shiitake mushroom in spicy garlic black bean sauce. Fried beef (or Shrimp) coated in sweet orange-flavored chili sauce. 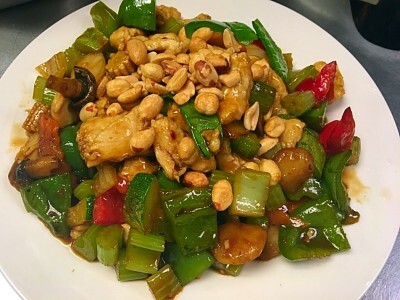 Small pieces of carrots, celery, mushroom, baby corn, water chestnut, green pepper, zucchini and pork, shrimp, chicken mix in brown sauce with peanuts on top. Jumbo shrimp and white meat chicken with fresh asparagus, snow peas, carrots sautéed in brown sauce. Crispy noodles, pork, shrimp, scallop, calamari, chicken and bok choy in brown sauce. Jumbo shrimp, scallop, calamari with baby corn, carrots, water chestnut, mushroom, snow peas, broccoli & bok choy in white sauce. 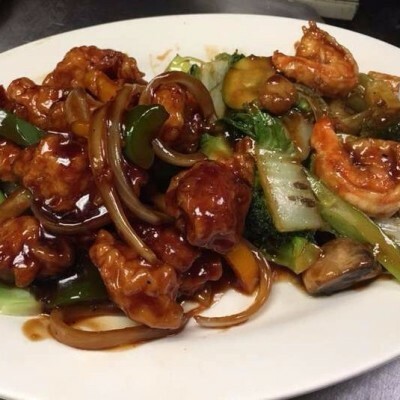 Beef, chicken, pork, shrimp, scallop mixed with vegetables in brown sauce. 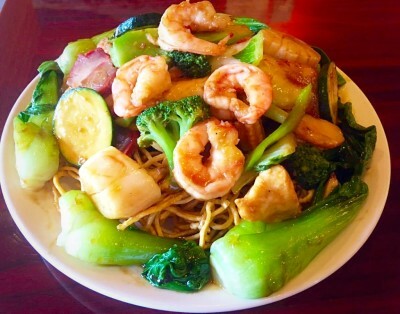 Jumbo shrimp, scallop with baby corn, carrots, water chestnut, mushroom, snow peas, broccoli & bok choy in chef's special sauce. Shrimp, scallop, calamari, chicken, pork, beef with shiitake mushroom and tofu in chef's special sauce.